Chris (me), Penny (wife), Rick (dad), Elva (mum), Lori (step-mum), Kieron (step-dad), Tristan (bro), John (father-in-law), Belinda (mother-in-law), Louise (sister-in-law), Alistair (sister-in-law's boyfriend and jolly nice bloke, not family YET mwuhahaha). Hint_: Controlled Crying - IT WORKS! Ok - it has been a few weeks since my post about just starting "controlled crying" with Ripley. To recap, in an effort to get him sleeping better, we used the generally recommended practice of letting him cry for longer and longer periods until he falls asleep. Click here for my first post on the detail of it. Well basically, after 2 - 3 days of trauma (mainly for us), he now sleeps soundly through the night, better still when we put him in his cot he is wide awake and doesn't make a peep - just falls quietly to sleep, BETTER STILL we had such a massive success in such a short time that we moved him into his own room (which we quickly finished decorating) and he now sleeps soundly through the night in his OWN ROOM!!! I can hardly believe it myself and nor can my wife. Ripley - for those who don't regularly read blogs - was easily the worst sleeper of all the babies we know. He had real problems, and yet after only a few days he is sleeping soundly and everyone is happier, healthier and better rested for it. Fantastic. If you have a baby that doesn't sleep - don't suffer it! Try the controlled crying method - I totally 100% recommend it. Weirdest women's magazine article ever? Don't know if I mentioned it before - probably - lack of sleep is causing my memory to get bad. Right - what was I talking about - re-reading line... oh yes. Mine is not the only Ripley fan site. 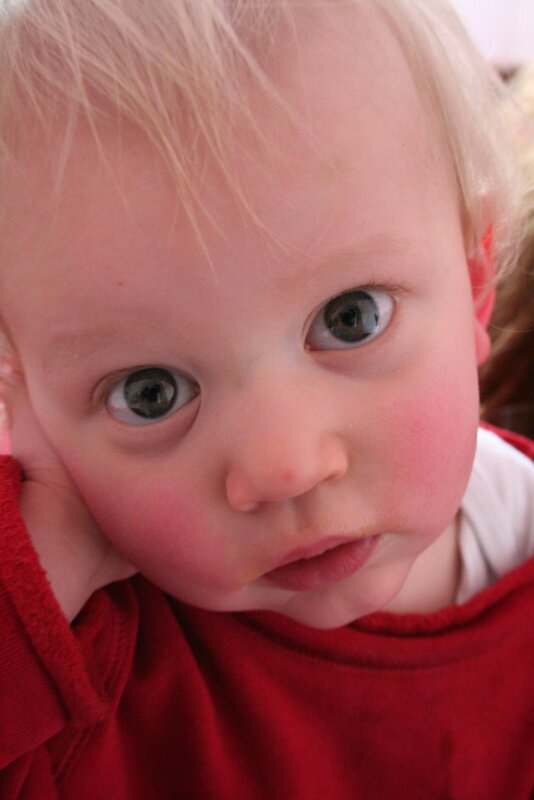 Penny's Dad - John has his blog which is pretty much dedicated to his only grandchild. Click here to visit the cunningly named Grandparenthood for Dummies (that was my idea). P.s. That's him on the left - click to enlarge this hidden cam shot I took. Basically it works. It is harder for the parent than the child... but it works and I recommend it. After only a few days he is sleeping through the night and everyone is happier, here is how to do it, please note the books say that if your child has emotional problems you shouldn't do this, mind you - don't all babies have emotional problems? 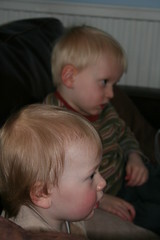 What consitutes an emotional problem in babies... answers on a postcard. 1) Put them to bed, say goodnight and don't make a fuss, walk out. 3) Walk in and stand by the door, do not approach the baby and in particular do not kiss, cuddle, etc. Say in a loud, firm, but loving way "Go to sleep baby, Mummy and Daddy are just in the next room" or something like that. 5) The screams will probably rise in level at this point. Repeat after 10 minutes, then 15 minutes, then continue every 15 minutes. The baby works out that crying doesn't work and the periods of time get longer, so they go to sleep. Everyone is happy. It sound cruel but believe me (and the experts in many books) it does no harm to the child, the only person it is likely to psychologically damage is you as the procedure is counter-intuative for a parent. Did you know that Right handed people live, on average, nine years longer than left handed people do.